Whenever someone completes a project, they inevitably experience a range of emotions. One of them is often relief. The hard work that began at the beginning and continued throughout the project is done! The end is when you can finally take the foot off the gas and wind down a little before it's time to move onto a new project. Unfortunately, such a mentality in health care organizations can prove dangerous. Patient discharge is the culmination of a patient's journey, from admission through treatment and completion of the episode of care. Despite discharge occurring at the end of a patient's experience, it can actually represent the beginning of an episode of care. That's because poor discharge planning can jeopardize patient safety and lead to a readmission. As the Agency for Healthcare Research and Quality (AHRQ) notes in a Patient Safety Primer, "A classic study found that nearly 20% of patients experience adverse events within three weeks of discharge, nearly three-quarters of which could have been prevented or ameliorated. 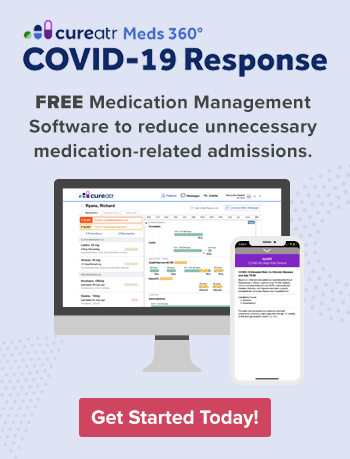 Adverse drug events are the most common post-discharge complication, with hospital-acquired infections and procedural complications also causing considerable morbidity." Reducing readmissions became such an important priority that, in 2012, the Centers for Medicare & Medicaid Services (CMS) established the Hospital Readmissions Reduction Program, which reduces Medicare payments for those Inpatient Prospective Payment System hospitals with excess readmissions. Follow these four strategies to improve the effectiveness of your organization's patient discharge planning and process and help reduce readmissions. The longer patients remain in your organization, the more susceptible they are to infection and other potential safety risks. This is particularly true for older patients or those with weakened immune systems. Discharge delays create other challenges, including bottlenecks in the patient care process, overcrowding, and decreased patient satisfaction. Measure your discharge wait times and analyze your discharge process. Work to implement improvements and remeasure wait times to determine if changes are having their desired effects. Discharge planning should not start at discharge. Rather, it should begin at admission and be treated as a continuous process. AHRQ states that "Discharge from hospital to home requires the successful transfer of information from clinicians to the patient and family to reduce adverse events and prevent readmissions. Engaging patients and families in the discharge planning process helps make this transition in care safe and effective." One of the easiest ways to improve patient engagement with discharge planning is to provide them with a terrific resource developed by CMS. "Your Discharge Planning Checklist" is a six-page brochure centered around a checklist identifying "action" items that patients and caregivers should work to complete in preparing for discharge. Topics covered include communication with caregivers, medication safety, equipment requirements, and returning to daily activities. There are several action items for caregivers, instructions for patients to list their medications and appointments, and a page listing agencies that provide information on community services to help plan for long term care decisions. Even if you choose not to provide this specific checklist to patients, you can modify it for use in your organization or at least review the actions items and ensure you are discussing those pertinent topics with patients in preparation for their discharge. Note: AHRQ offers a similar "Be Prepared to Go Home Checklist" brochure, which can be accessed here. We've noted that there are many critical components to successful discharge. How do you know if you're performing well in these areas? It's worthwhile to monitor your organization's performance and look for shortcomings. You may also want to consider developing a patient survey focusing on issues concerning discharge. Try to survey a mix of patients, such as those with and without readmissions, who speak different languages, and have different levels of education and health literacy. Find out if patients felt adequately prepared for discharge and the activities they needed to perform over the following days. Ask if educational materials you provided were helpful — and any aspects that were not. Request recommendations on what could be done better. 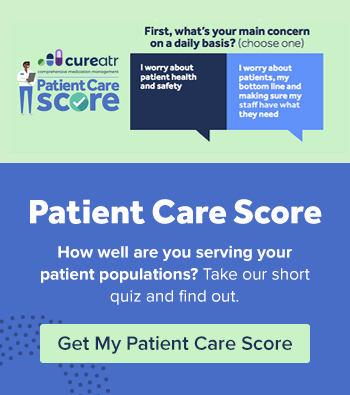 While asking patients to rate your performance in certain areas, the use of open-ended questions where patients can share specific thoughts can help you better target areas for improvement. As survey results come in, involve stakeholders from all departments that play a role in the discharge process to assess the information and act on key takeaways.